An example of the proposed method for bringing data from older sensors and industrial control systems to today’s IT network. Image courtesy of the IIC. One of the challenges associated with bringing new tech to old manufacturing facilities is that few companies want to disrupt their current operations. Worries about downtime, security, and even a lack of trained employees make it so that most older plants are unable to combine their operations data and information technology data. But unless companies wrench that operational technology data from their facilities and send it to the cloud or local servers designed for analytics, old plants can’t get the benefits of that tech, such as predictive maintenance or a deeper understanding of their operations. 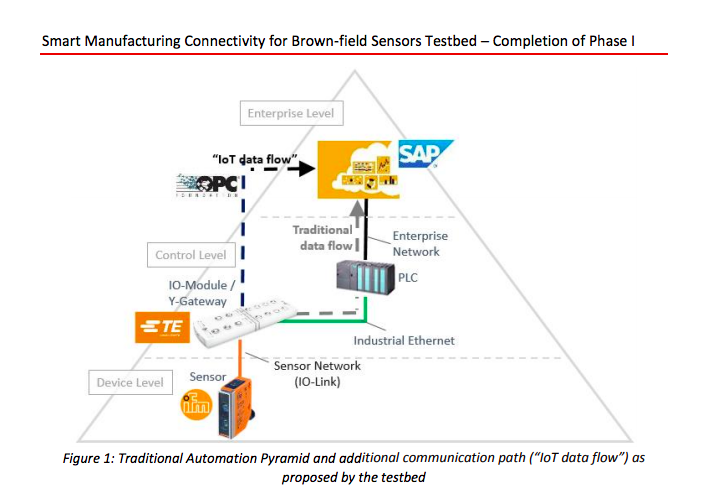 That’s why the Industrial Internet Consortium’s recent efforts to create a testbed to bring older sensor data into IT systems caught my eye. The testbed was published this week, and basically calls for a company to take their existing input/output module that pulls in sensor data and replace it with a more intelligent gateway that will split the traffic into two streams. The first stream will carry the operational data along its original path and leave the plant running in the same fashion. The second stream includes the same data and perhaps a bit more, and is translated into one protocol and sent to IT systems for analysis. How These 4 Features Made Spanish-based Cabify Tall Straight Against Uber?